Stanley Caulkins' 90th birthday was celebrated in style. 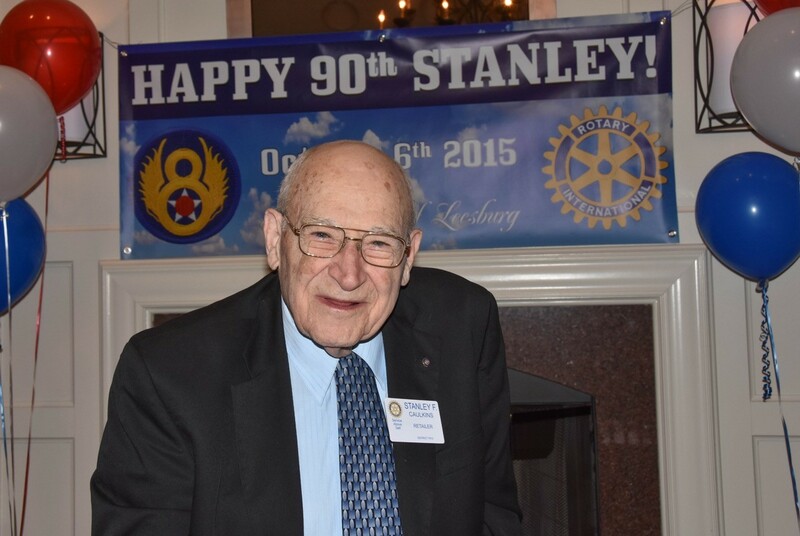 Stanley is treasured for many things, including being a World War II veteran, long-time local businessman, namesake of the Caulkins Terminal at the Leesburg Executive Airport, dedicated volunteer, and most importantly, a loyal, 50-year member of the Rotary Club of Leesburg. Stanley's birthday was Oct 6th and he had been given a Key to the Town of Leesburg plaque by Mayor Kristen Umstattd earlier in the week. Rotarian Chuck Reavis interviewed Stanley who shared personal and Rotary stories during the evening. 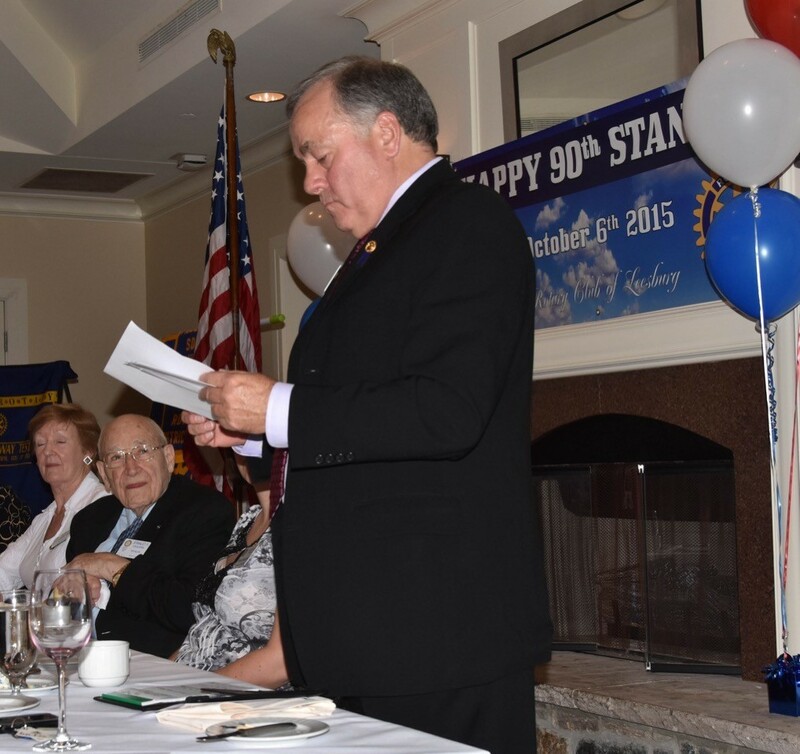 The memorable, fun event was enjoyed by club members, Stanley's family and other guests. Rotarians and guests gathered around Stanley and his cake before singing a rousing rendition of Happy Birthday. 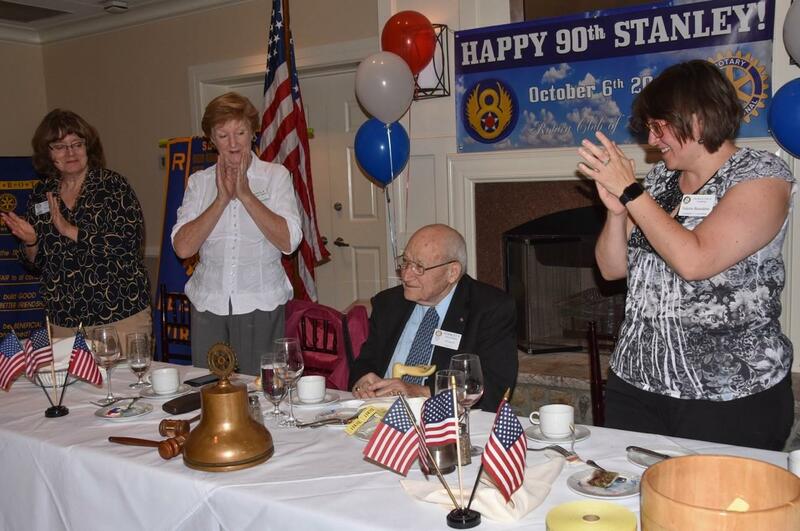 Rotarian Chuck Reavis (left) presents a gift to Stanley followed by a club standing ovation. Applauding (left to right) are Secretary Janice Fristad, President Dee Jonas, (Stanley), and Sgt-at-Arms Valerie Beaudoin.